Our friends over at Blogos just published a blog post on the film “The Linguists“. The documentary, made possible by major funding by The National Science Foundation (NSF), chronicles two ethnographers’ endeavor to record endangered languages around the world. It has steadily garnished recognition since premiering early in 2008 at the Sundance Film Festival in Park City, Utah. The film dramatizes the kind of work involved in reaching indigenous communities and documenting their languages. It premieres Feb. 21 at UNESCO headquarters in Paris in conjunction with “International Mother Language Day,” an annual observance intended to promote multilingualism worldwide. Keep reading to check out the trailer! Over the past year the film has played at international documentary film festivals and been featured in the [email protected] series on You Tube. 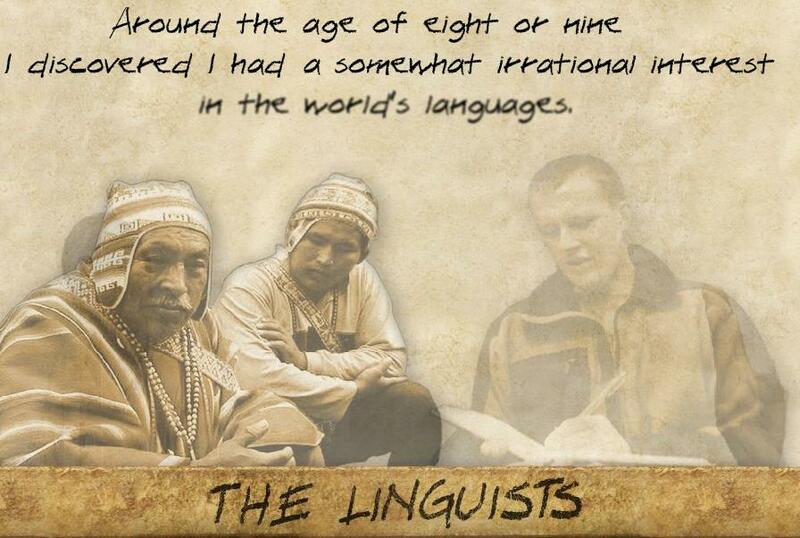 For more information on “The Linguists”, visit the film’s website.